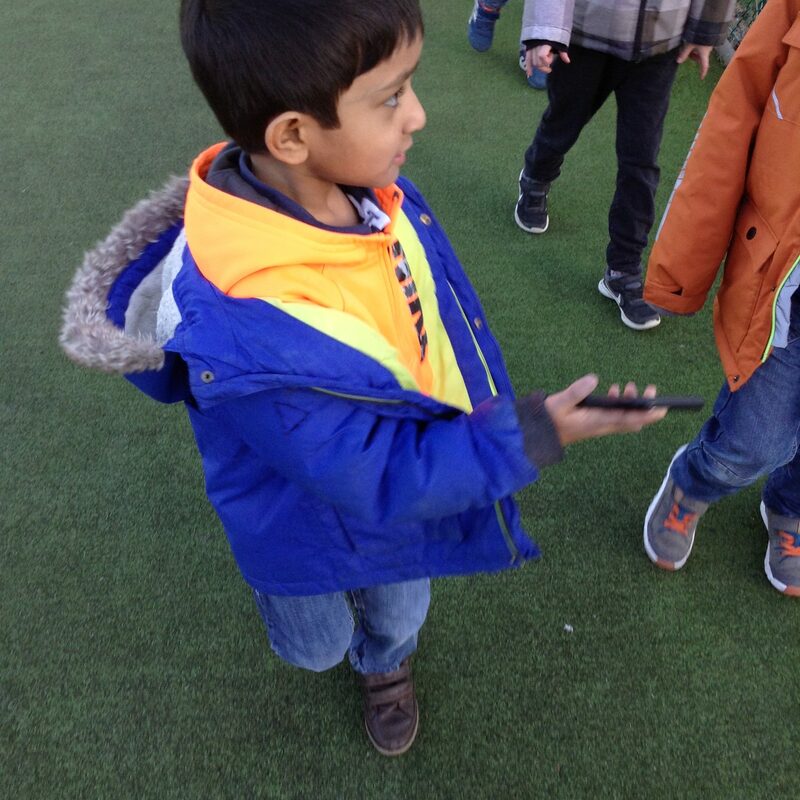 Our busy fingers have been tracking our steps this week in first class. 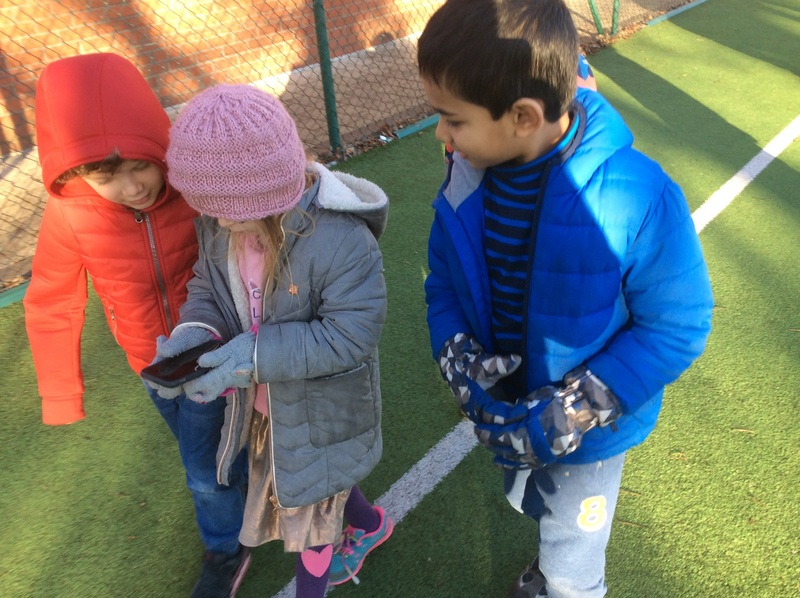 The cold weather didn’t stop us putting our coats, gloves and scarves to go on our measuring adventure. 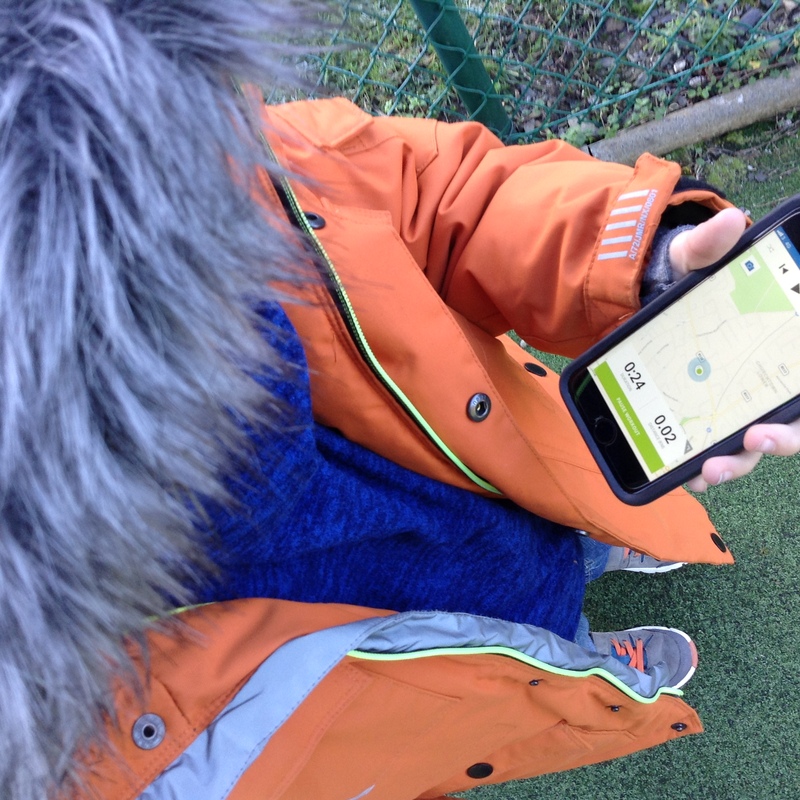 We have been using the i-pads to measure the perimeter of the AstroTurf Pitch and the Netball pitch at school. From walking around the small Netball Pitch we soon realized it was almost half the size of the big AstroTurf pitch. 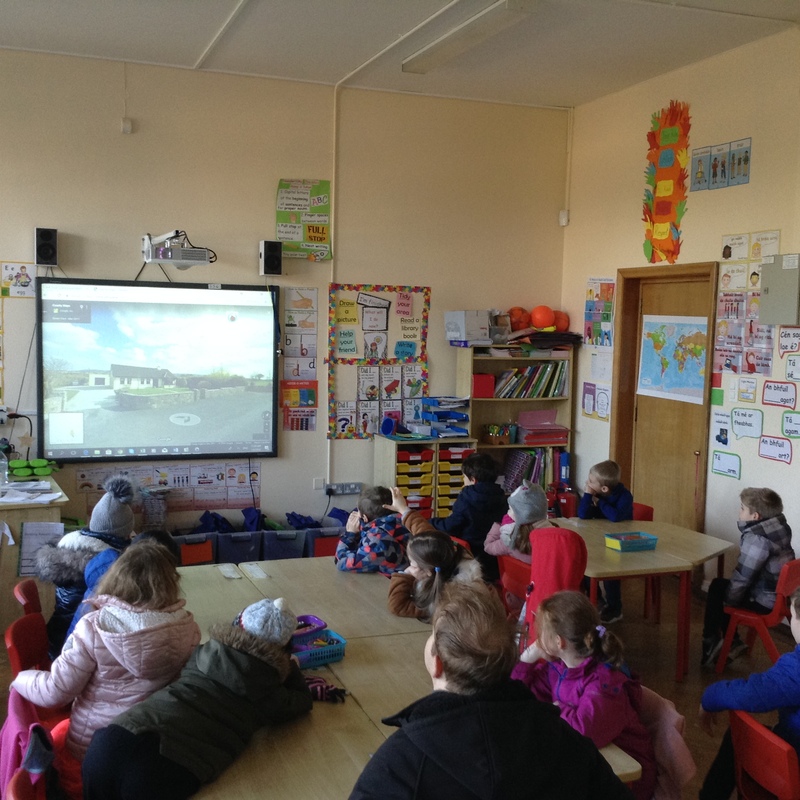 We had lots fun tracking our steps and the distance we walked, we could see the loop it made on the i-pads. It was fun to take the i-pads outside on an adventure too. 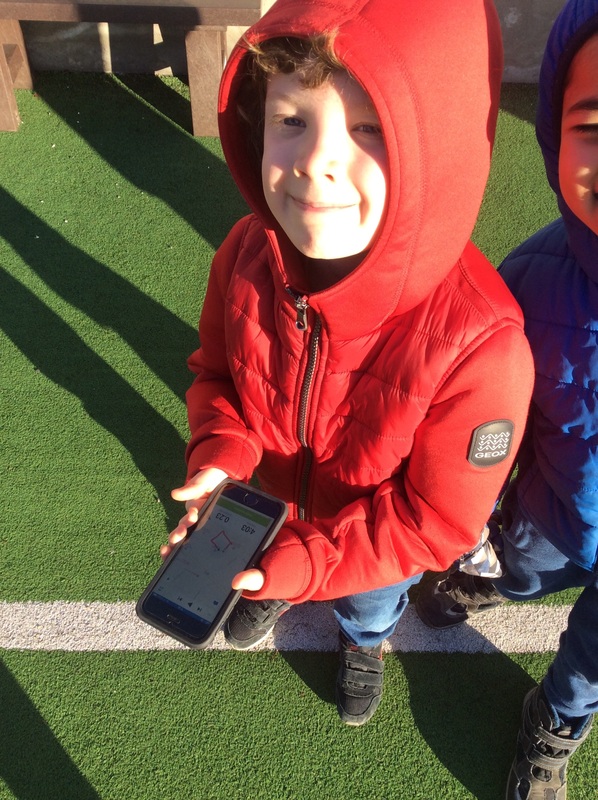 When we came back to class we calculated that if we walked around the AstroTurf pitch four times we would have walked a full KILOMETER. 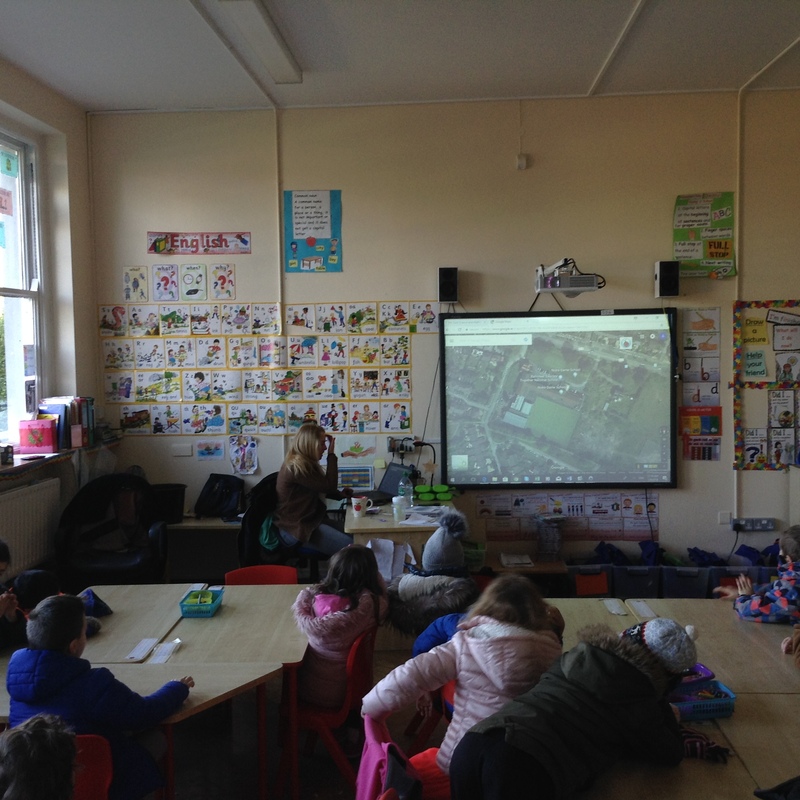 Using google maps in class we could see an aerial and map view of our school building and the area around it. We were able to tell from looking at the map that the Netball pitch was much smaller. 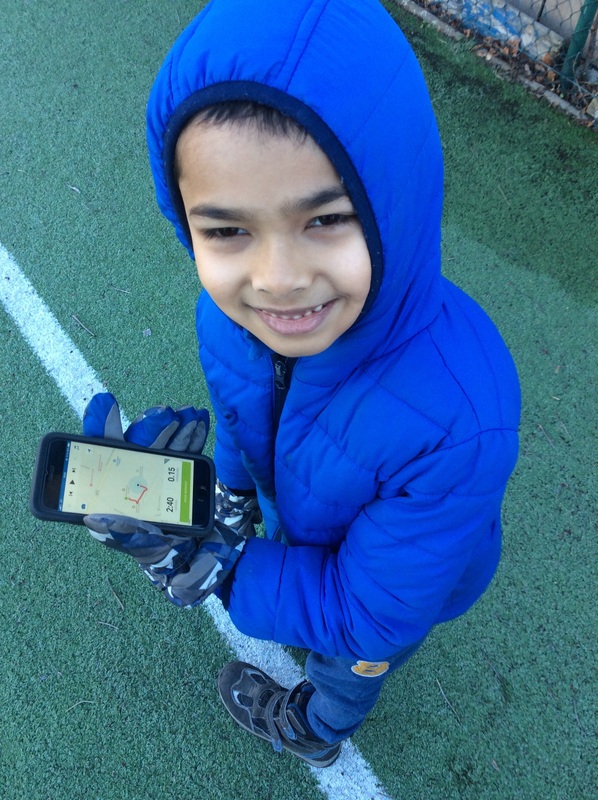 We look forward to tracking our distance withe the I-pads on our next adventure.